Adventure Time, Cartoon Network’s new original animated series introduces fans to unlikely heroes Finn & Jake, buddies who traverse the mystical Land of Ooo and encounter its colorful inhabitants. The best of friends, our heroes always find themselves in the middle of heart-pounding escapades. Finn, a silly kid with an awesome hat and Jake, a brassy dog with a big kind heart, depend on each other through thick and thin. The Verb x Adventure Time Bro-Down is a collaboration between Verb Skateboards and Cartoon Network’s Adventure Time. 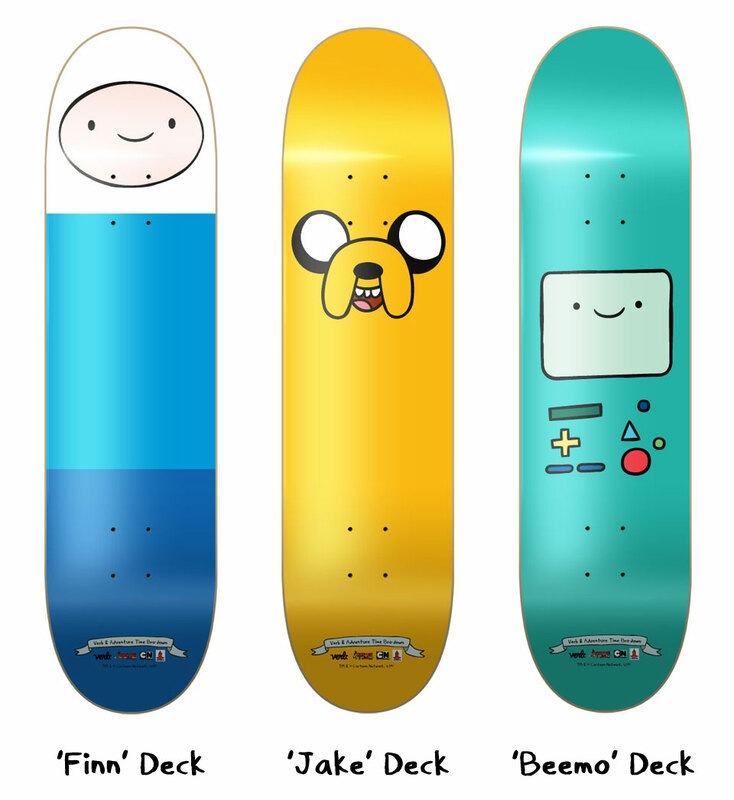 It features a series of limited edition Adventure Time skateboards and apparel designed by Verb.